Warhammer is set in a dystopian science-fantasy universe. It is a game of strategy, diplomacy, mathematics and even art. 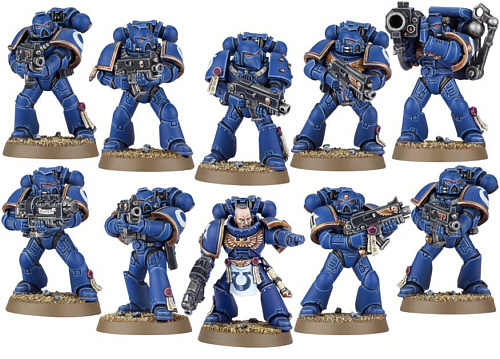 Players assemble and paint individual, 28-millimetre (1.1 in) scale miniature figures that represent futuristic soldiers, creatures and vehicles of war. 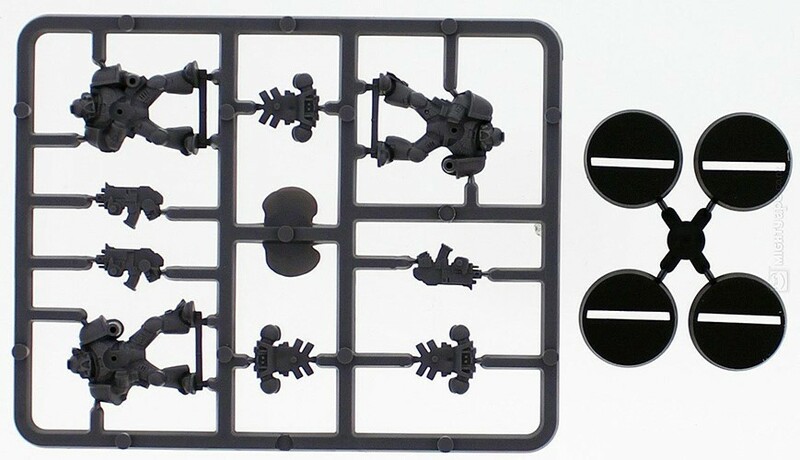 These figurines are collected to compose squads in armies that can be pitted against those of other players. These figures come on sheets just like a model car. Players cut out and assemble each model figure making decisions along the way as to what weapons, armor and other options to choose. Each option changes your figure's strengths and weaknesses. So creativity and strategy are employed right from the start. From there they are painstakingly painted to incredible detail. The figures alone are incredible works of art and it can take weeks just to make a few to the specifications that makes the player happy. Then begins the real fun. Each player brings a roughly equal complement of units (or figures that they have now created) to a tabletop battlefield with handmade or purchased terrain. 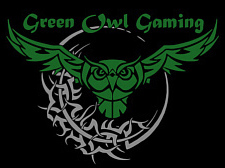 We have both here at Green Owl Gaming. We also have custom built tables with inserts that can be removed and swapped out for differing types of terrain for different games. We allow them to use their creativity as much as possible when creating the world in which they will be playing. The players then decide upon a scenario, ranging from simple skirmishes to complex battles involving defended objectives and reinforcements. The models are physically moved around the table and the actual distance between models plays a role in the outcome of combat. Play is turn-based, with various outcomes determined by tables and the roll of dice. Tape measures are employed to determine how far a figure may move or fire and calculations are made based on either getting someone's armies either in range to attack, or to keep yours out of their range. Battles may last anywhere from a half-hour to a whole weekend, and battles may be strung together to form campaigns. Expansions for Warhammer 40,000 are released periodically which give rules for urban, planetary siege and large-scale combat. Games are held between two or more players, each of whom fields a group of units. The size and composition of these groups, referred to as armies, are determined on a point system, with each unit (figurine) assigned a value in points roughly proportional to its worth on the battlefield; a better unit or model is worth more points. Before a game, the players agree on how many points will be used as the maximum army size and each assembles an army up to that limit. The point system and choice of how many gives players the opportunity for discussion and builds communication skills and even leadership skills. The composition of these armies is usually constrained by rules contained within the Warhammer rulebook, as well as in several army-specific (the groups of figures are referred to as armies) rulebooks called codexes. Each different type of army (they come in many different races each with strengths and weaknesses) requires a handbook called a codexe that tells you about each of your figures, what their range is depending on which options you chose while buliding them. These rules and preparations are generally taken seriously among players. They make their own rules and all follow them, it's actually really a wonderful sight to see them doing this. Common game sizes are between 500 and 2,000 points and played on tables four feet in width and four to eight feet in length, but it is possible to play much larger games. Our tables are just under five feet in width, eight feet in length and we have two of these tables each with two removable and customizable inserts for accommodating a maximum amount of players and giving them many options for how to setup each game. At the onset of each game, a set of rules and goals is determined for that battle. These are collectively referred to as the scenario or mission being played. Players exercise communication skills as well as diplomacy and learn how to talk things out, listen and build relationships. Players are assigned basic goals which range from the defense or capture of sections of the board to the destruction of enemy units. Additional rules may represent conditions for fighting at night or in environments that affect troops' abilities. These scenarios may be straightforward, taking only an hour or so to complete, or they may be quite complex and require several hours or even days to complete. A series of scenarios may be organized into a campaign, where two or more players fight against each other in a number of battles. These campaigns may feature their own special rules, and are typically tied together by a storyline that can evolve based on the results of each scenario. Players design their own scenarios or build new campaigns from premade scenarios. They do all of this on their own. We simply provide them with the tools and place to do so. They employ their own creativity and decide how they want each game to look and go. It teaches both independence as well as working as a team. Play is divided into "phases" where each player moves, shoots, and/or engages in close combat with various units. It is a turn based game and while one player is doing the phases of their turn, the others learn to be respectful, patiently wait, strategize or even communicate with other players about teaming up for a common goal. In the Movement phase, a player determines the direction and distance individual units will travel, unless a special rule states otherwise. Some units can travel further than others in a single move, and terrain may inhibit movement. 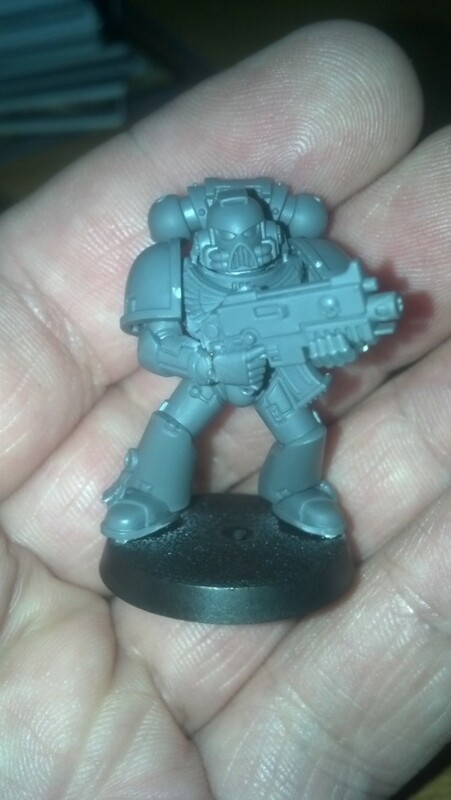 Part of choosing an army and the options you chose when building your figures impacts this. Tape measures and mathematics are used to determine just how far a player's figures can and will move. In the Shooting phase, the player has the opportunity to make long-distance attacks with units that are within range of the enemy. In the Assault phase, units may engage in close-quarters fighting with nearby enemy units. All of these moves are carefully thought out and decisions made based on what the best course of action is to achieve the best possible results. After one player completes all three phases play is turned over to the opposing player. Contingent events such as weapon hits and misses are determined by the roll of a six sided die and unit characteristics. A specialty die called a scatter dice is used to determine deviation for less accurate events such as artillery barrages or reserve units deploying onto the battlefield through irregular means. As you can see what seems like a simple and fun game, is actually quite an engaging learning experience that keeps them thinking and entertained. We have observed that our members have learned social skills, communication skills, improved math skills, built new friendships and overall can't wait to come back and play some more. It is a very social and engaging game that keeps them occupied, coming back and bringing friends.